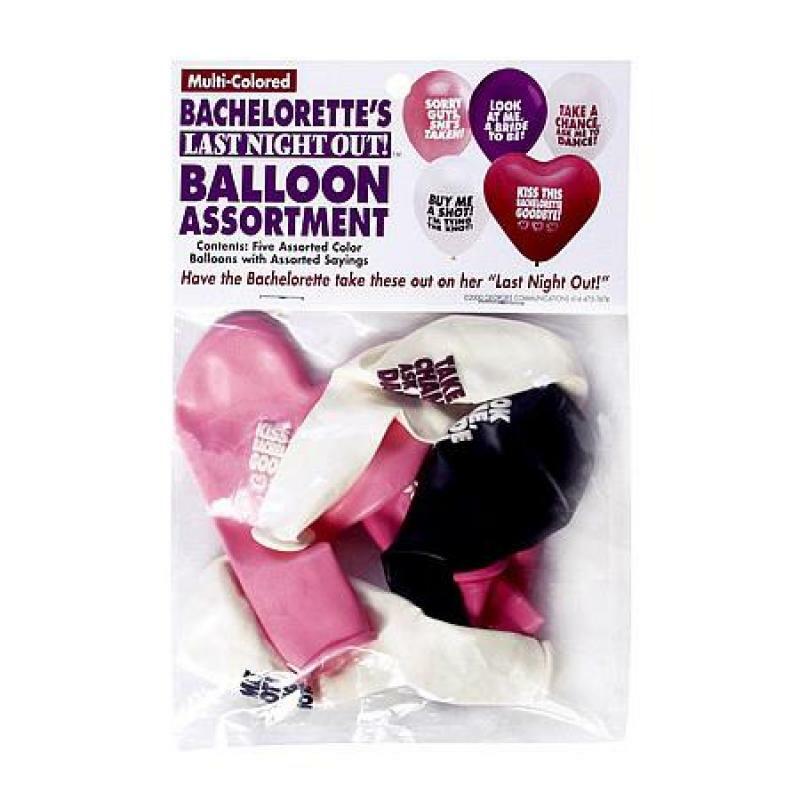 The set includes four - 9 inch round colorful balloons and one - 11 inch heart-shaped balloon. 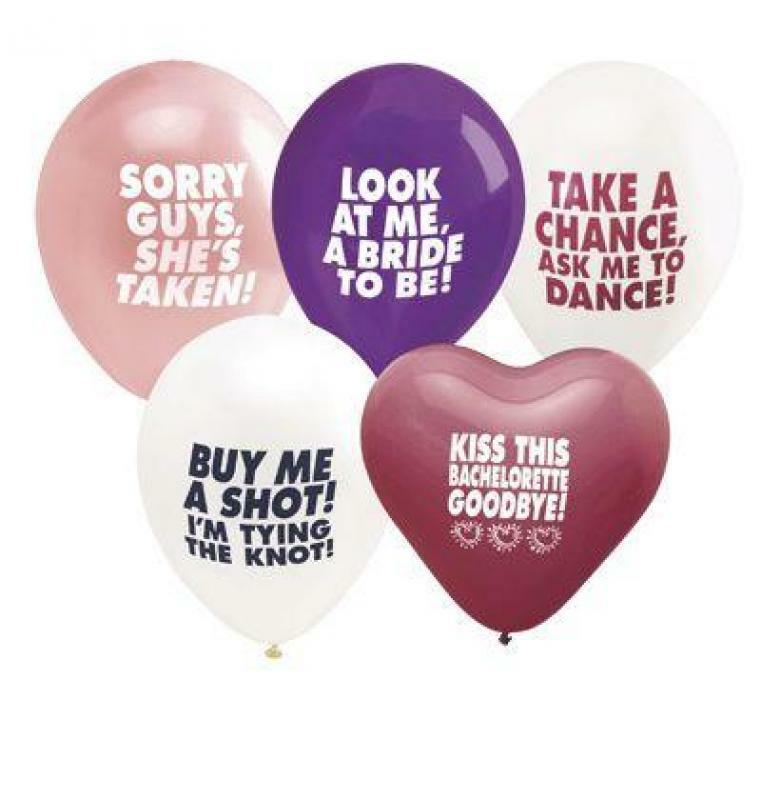 Each balloon has a fun saying on it to attract everyone's attention! • Sorry guys, she's taken! • Look at me, a bride to be! • Take a chance, ask me to dance! 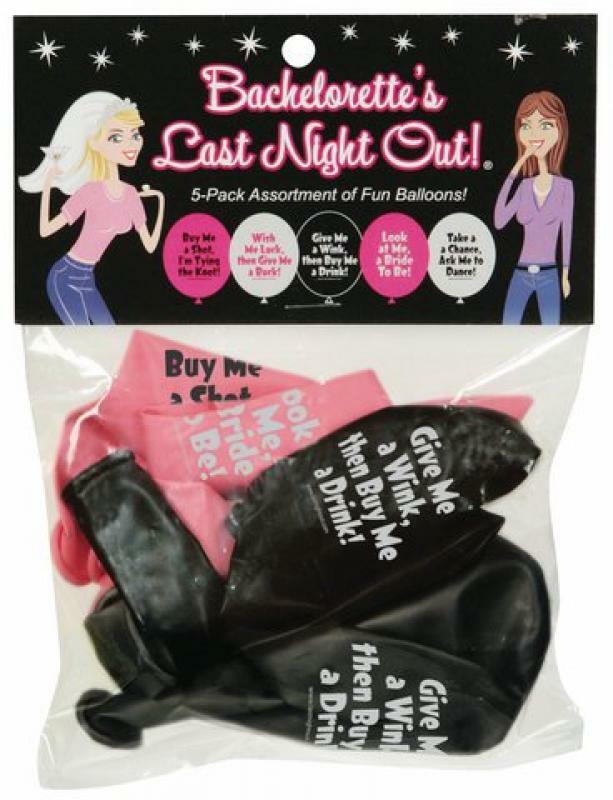 • Buy me a shot, I'm tying the knot! • Kiss This Bachelorette Goodbye!